Ask Brianna: I&apos;ve Heard I Should Build Credit. How Do I Start? Ask Brianna: I’ve Heard I Should Build Credit. How Do I Start? Welcome to “Ask Brianna,” a Q&A column that helps 20-somethings prepare for the job search, handle money and manage student loans. Every other week, a new “Ask Brianna” will address these topics with tips I’ve picked up while writing about this stuff. Have a question? 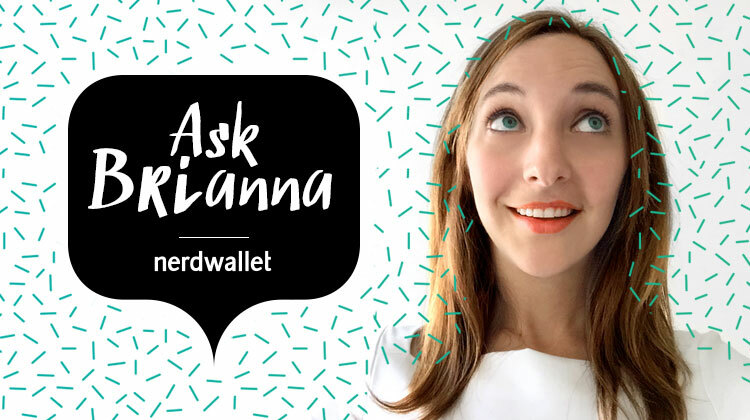 Send it to askbrianna@nerdwallet.com, and I’ll send back my best answer. Your question may appear in a future column. I’ve never had a credit card, but I’ve heard it’s important to get one so I can build credit. What does that mean, and how do I start? There are three ways to build credit if you’ve never had a credit card: Ask someone you trust, like a family member, to add you as an authorized user to his or her credit-card account; get an unsecured card with a co-signer; or get a secured credit card by paying a cash deposit. If you’re like me, it might take a while to come around to the idea that using credit responsibly now is one of the best ways to set yourself up for future financial success. Growing up, I heard about a family member who maxed out her credit card on an ill-advised collection of ’90s alternative CDs; I saw college friends pay for all their living expenses with credit. Without credit, you have no credit score — a number between 300 and 850 that tells banks, landlords and others you might do business with whether you’re financially trustworthy. The higher the score, the better. An excellent credit score — also called your FICO score — will get you a lower interest rate on a mortgage, car loan or private student loan, and it will help you get an apartment in a competitive real estate market. Paying your credit card bills on time will help you build good financial habits. That will serve you well as you get older and need to make high-stakes money decisions, like how to save for retirement and how much to spend on a house. And, as a bonus, there are lots of rewards credit cards out there that will earn you points on purchases you make, which you can use to get discounted airline tickets and other perks. Now that you know why building credit history is necessary, here’s how to do it. Ask a parent, sibling, significant other or another trusted adult with great credit if you can join his or her account as an authorized user. That means the primary cardholder has given you permission to use his or her credit card. You’ll get a card in your own name, but the company won’t hold you responsible for paying the bill every month; it’s up to the primary cardholder to do that. This method helps you build credit when you wouldn’t be able to get the same type of card on your own. Contact the company that has issued the card you want to use — such as Chase, Capital One or American Express — and ask whether it reports authorized users’ activity to the major credit bureaus; not all companies do. The credit bureaus determine your credit score, so you want to make sure your credit card activity will get to them. Also, arrange to pay back the primary cardholder every month for your purchases if he or she hasn’t agreed to cover your charges entirely. You can also apply for a new credit card with a co-signer. It’s your job to pay the bill each month, but if you can’t afford the payments, the credit card issuer will hold your co-signer accountable for your purchases. That means that when someone co-signs on a credit card, they’re taking on a lot of responsibility, so be sure that person understands the risks. I got my first credit card in college with my dad as a co-signer, once I understood that credit cards wouldn’t kill me. Paying that bill every month made me feel like a real adult, and I felt a healthy pressure to stay current so my dad wouldn’t be stuck with the balance. Want more advice on money, student loans and life after college? Get it delivered straight to you weekly in the NerdWallet Grad newsletter. If you want to get a card all on your own, the best option when you have no credit is a secured credit card. You’ll pay a cash deposit that’s generally the same amount as your credit line. So if you’re allowed to make up to $500 in purchases on the card, your initial deposit will be $500. Many secured cards also have an annual fee. The goal with a secured card is to build your credit history over several months, by putting charges on the card and paying them off on time, so you can then qualify for an unsecured card. Most credit cards are unsecured, so once you’re eligible for one you’ll have a lot to choose from. No cash deposit is required for these, and you’ll get more rewards and benefits from an unsecured card, too. You can look over your credit activity on your credit report, which is available for free at AnnualCreditReport.com. To see your actual credit score — that magic number noted above — you might have to pay a fee, either to MyFico.com or one of the three credit reporting bureaus: TransUnion, Equifax or Experian. Some credit card companies and lenders offer complimentary credit scores as a perk, so check with your issuer and any companies you’ve received a car loan or student loan from. Once you’ve seen that your credit score has increased sufficiently, you can close your secured card, get your deposit back and apply for a new, unsecured card. When you’re ready to apply for your first unsecured card, NerdWallet’s credit card comparison tool can help you find the best credit card for you. It includes student credit cards, too, if you’re in college and want a card with rewards and features geared toward students. The key thing to remember is that credit cards aren’t the enemy; use them right, and years from now you’ll be glad you took the time to build a stellar credit score. Next time, we’ll weigh your options for how to afford another financial milestone: I want to go to grad school but it seems really expensive. What’s the best way to pay for it? Brianna McGurran is a staff writer at NerdWallet, a personal finance website. Follow her on Twitter: @briannamcscribe.